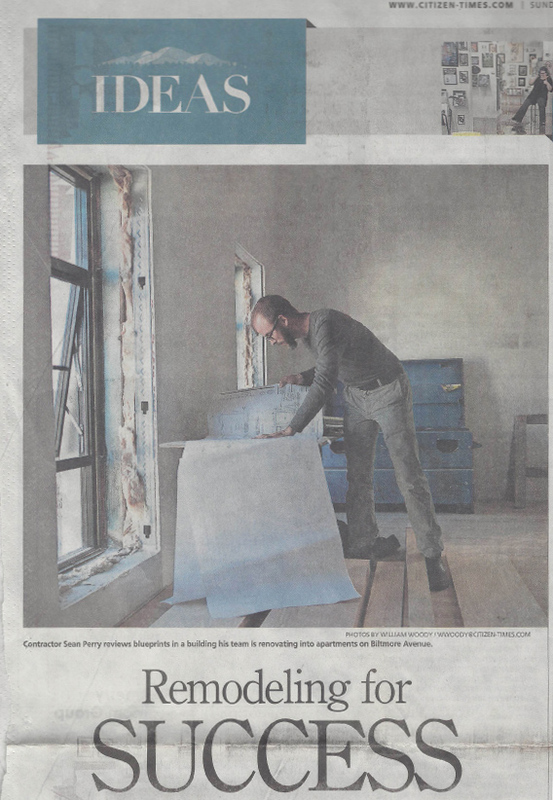 On November 27, the Asheville Citizen-Times featured a story by writer Caitlin Byrd on Sean Perry and his company’s history and growth. Read an excerpt below, and find the full story on the Citizen-Times website. ASHEVILLE – Sean Perry veered his white pickup truck off to the right side of the street, slowed to a stop and pointed to the house on Farrwood Avenue. His fingers traced the air, following the lines of gray stonework covering the outside of the Norwood Park home. “This was a really significant project that we did,” he said, moving his finger down to point to the basement, then back up to three bathrooms and the exterior of the house — all rooms and projects he can still see in his mind years after the project wrapped. Read more.